Rudi's is offering one lucky Gluten Free Philly reader a prize pack consisting of a Rudi's-branded toaster, two free-product coupons, and a reusable tote bag. To enter, follow the instructions below. 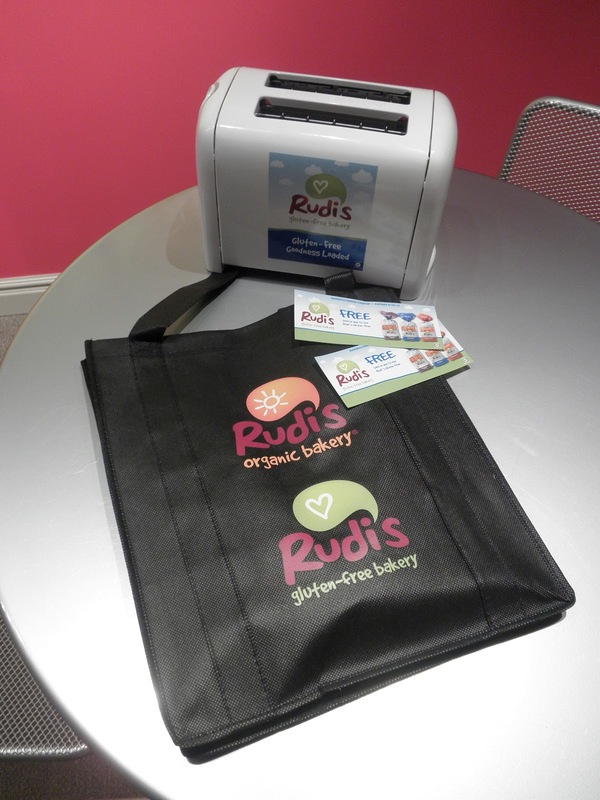 DISCLOSURE: Rudi's Gluten-Free Bakery is offering the prize pack. Neither I am nor any immediate family member is an employee, officer, director or agent of Rudi's Gluten-Free Bakery or its respective parent, subsidiary and affiliated entities, advertising and promotional agencies. My full Disclosure Policy can be found at the blog's Disclosure page. I am interested in trying the bread. So far the dairy free and soy free breads I have tried are aweful. I want to try the Rudi's new bagel flatz! THey sound so good. My current favorite though is their cinnamon raisin bread as toast. I love the cinnamon raisin bread, and i need a new toaster as mine has been compromised by evil gluten-containing bread! All Rudi's products look amazing! To have a toaster I could call my own would be amazing! Tired of toasting under the broiler. What a nice gift pack! Hummmm...... bagel flats? I definitely need to try those! The Udi's bagel flats are not gluten free.